FOR IMMEDIATE RELEASE Contact: Dawn Bashara, Communications and Development Director 402.898.1349 dawn@immigrantlc.org Feb. 28, 2019 – On Wednesday, May 8, Immigrant Legal Center will celebrate 20 years of welcoming immigrants into our communities at our 20th Anniversary Open House. The celebration will continue throughout 2019. The Open House will be in our newly renovated office … Continue reading "Immigrant Legal Center Celebrates 20 Years of Welcoming Immigrants into our Communities"
A successful night in support of Immigrant Legal Center Our fourth annual Food Truck World Tour hit a new record! We entertained 500 guests and raised $200,000! See photos below Supporters enjoyed an evening of fantastic food and lively performances. The weather was perfect with a soft breeze to step outside for drinks … Continue reading "Food Truck World Tour 2018 raised $200,000"
Hello friends, Thank you to all of our generous supporters for your #OmahaGives and #PottawattamieGives donations! We surpassed our goal and raised over $78,500! . Although 2017 demonstrated more aggressive decisions against our immigrant neighbors, we’ve made positive efforts to move forward. Immigrant Legal Center is getting stronger. Your Omaha Gives donations positively impacts the lives of … Continue reading "Immigrant Legal Center raises $78,500 during Omaha Gives"
Hello ILC friends, Immigrant Legal Center is excited to participate in Omaha Gives for 6th year in a row! This 24-hour charitable giving day celebrates non-profit organizations in the Omaha-Council Bluffs metro area on Wednesday, May 23rd. Immigrant Legal Center has made many positive efforts of moving ahead despite our current political climate. 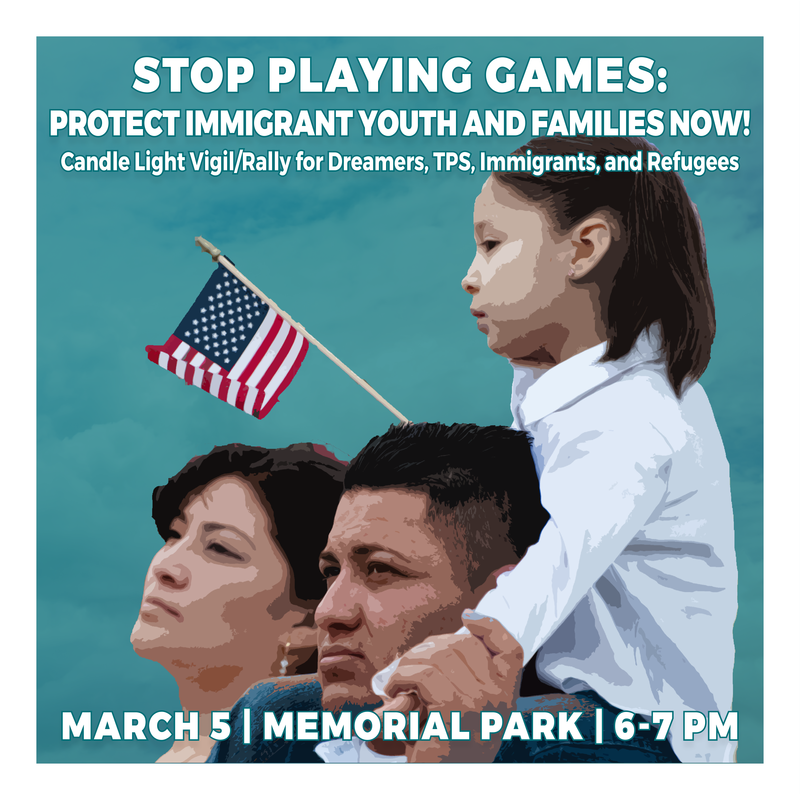 In 2017, the … Continue reading "Support Immigrant Legal Center during Omaha Gives 2018"
Stop Playing Games: Protect Immigrant Youth and Families NOW! Nebraskans demand Congress protect immigrant families, communities during nationwide day of action As DACA deadline arrives, nationwide and statewide actions will urge Congress “Stop Playing Games” OMAHA — On Monday, the day of the President’s self-imposed deadline to rescind the Deferred Action for Childhood Arrivals (DACA) program, Nebraskans gathered across the state to show solidarity … Continue reading "Stop Playing Games: Protect Immigrant Youth and Families NOW!" The Rose Theater and Immigrant Legal Center have teamed up to create a documentary film and performance piece to tell the stories of local DACA recipients and advocate for a clean “Dream” Act. Since the Trump Administration’s September 5, 2017 announcement to rescind the DACA program, there has been a tremendous climate of fear and uncertainty … Continue reading "WE ARE DREAMers Documentary and Performance"
enVISION 2017: Food Truck World Tour Raised Over $183,000! More Than 350 Supporters Attended Our third annual Food Truck World Tour was a success filled with a night of fun, music and laughter. Even though it was a hot evening, there was plenty of space around the food trucks and more than enough room to check the menus and stay cool. 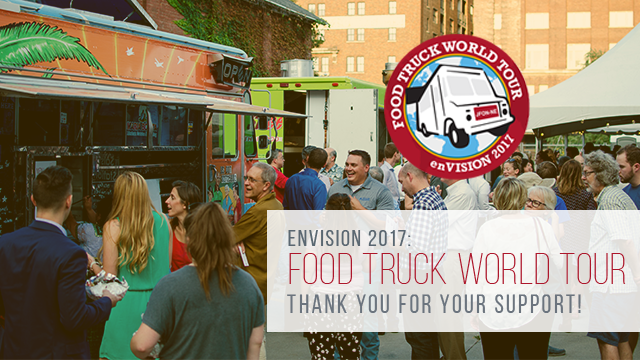 Our event inside … Continue reading "enVISION 2017: Food Truck World Tour Raised Over $183,000!" Justice For Our Neighbors – Nebraska is happy to be a part of Omaha Gives for the 5th year in row! This 24-hour charitable giving event takes place all across Omaha on May 24th. Last year, we raised $60,000. For 2017, help us reach our goal of $61,000! Cheer us on by creating your own cheer page for JFON-NE! 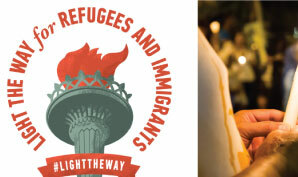 A … Continue reading "Cheer for Justice during Omaha Gives"
Join our friends at Light The Way on Presidents Day, February 20, 2017, to stand in solidarity with refugees and immigrants. Participants will silently line both sides of Dodge St. at dusk (5:30- 6:30 p.m.) with candles, lights and welcome signs to show that #NebraskaWelcomes refugees and immigrants.